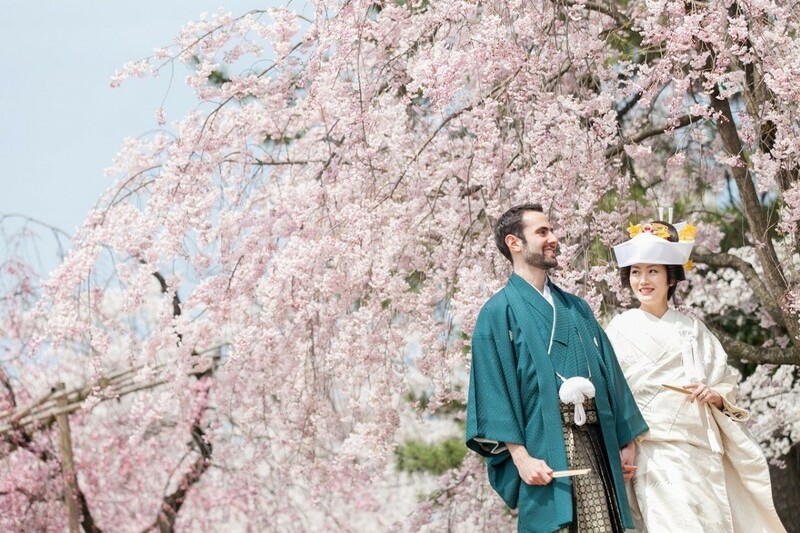 Many of our customers coming to Japan ask about renting a kimono for their couples photo shoot. 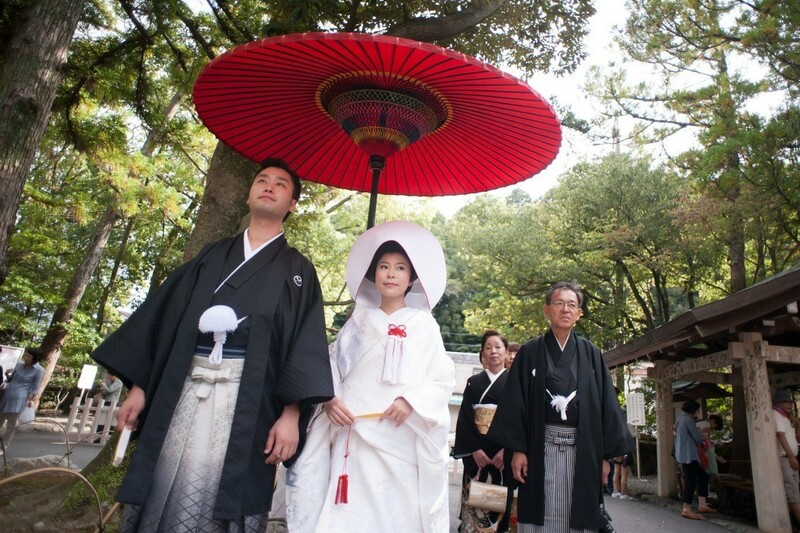 Here are some tips and advice for kimono photoshoots in Tokyo, Kyoto, and more! 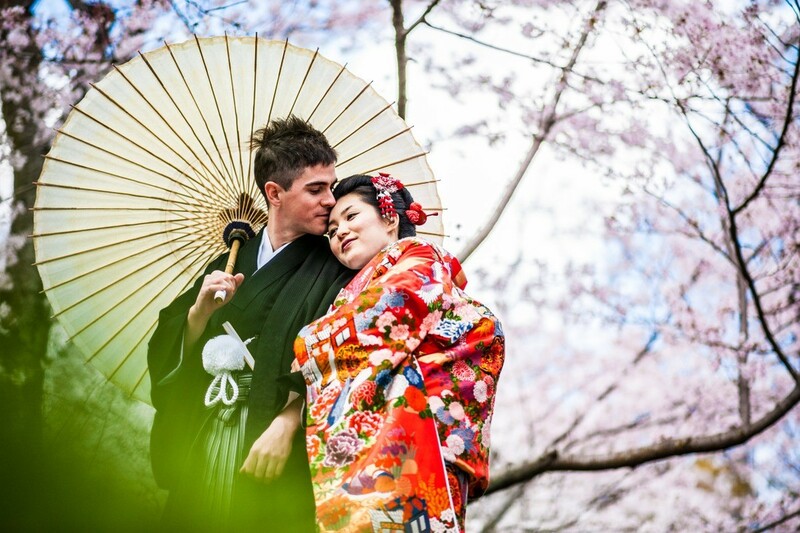 We often receive inquiries from couples, both domestic and abroad, about wearing kimono for photo shoots. Most are surprised after seeing the price of simply renting a kimono as it can get quite pricey. We have a brief explanation of why kimono (and even renting them) can be quite expensive in our article here. Kimono can be a beautiful addition to your photo shoot but will push up the cost by up to 70,000 Japanese Yen (and sometimes even more). If you're looking to rent a kimono for your photo shoot, please take the following points into consideration. There are many parts of a kimono. The "kimono-looking" part of the kimono is just the "coat", which is the main clothing piece. However, there is also the obi belt, undergarments, ties, and other small pieces. In addition to the outfit, there are also a variety of accessories that can be rented along with the kimono to create a more completed look. These little accessories can range from hair accessories to pouches, umbrellas, and so on. Considering all the layers which make up a kimono and how difficult it is to tie the obi belt, putting everything on and making it fit just right takes quite a lot of time. 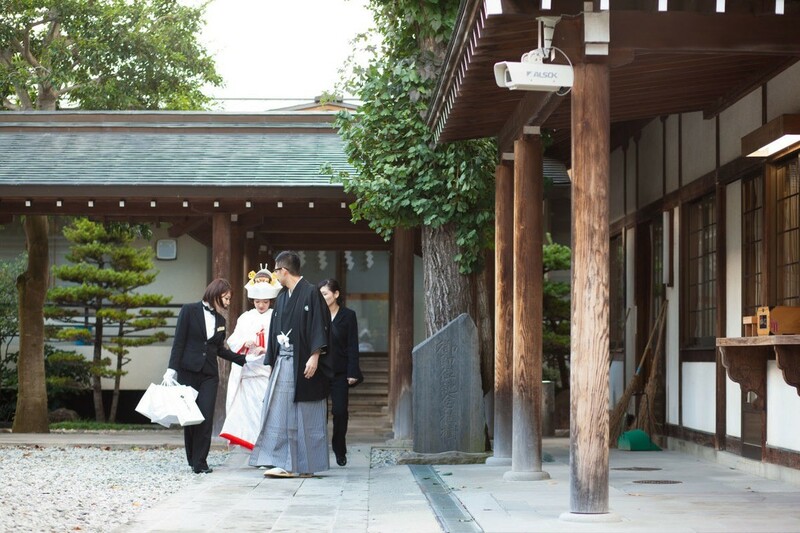 You should expect to be standing for 30-60 minutes while the kimono staff assist you through the process. When thinking about the logistics of your photo shoot, you should also consider the time it will take to put on and take off the kimono. It may not seem like it, but kimono can be very heavy. In addition, the ties and obi belt are usually fairly tight and make the whole ensemble a bit of a challenge to move around in. Because of this, kimono rental almost always require an assistant or attendant to aid you with moving around during your photo shoot. 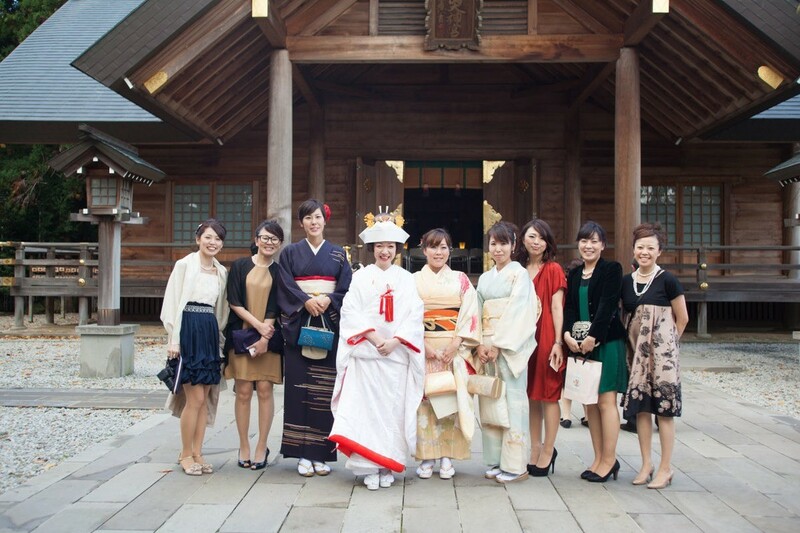 They will also make sure the kimono is spread out nicely in all your photos. 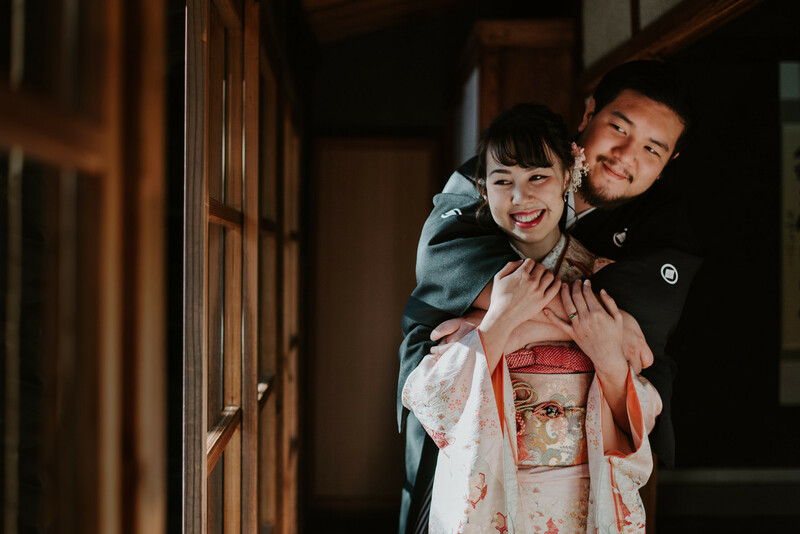 We have shared in our article here regarding the different types of wedding kimono, but there are also other types of kimono available. 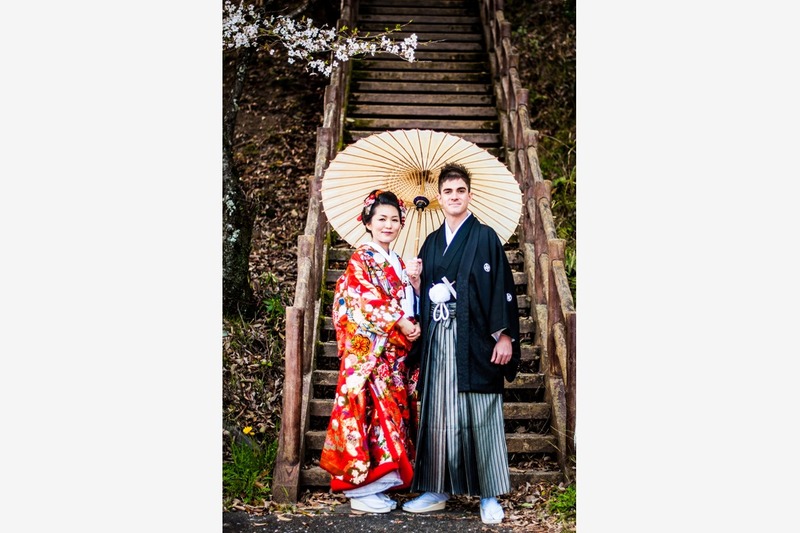 If you are looking for photos wearing Japanese wedding kimono, you can expect the package price to be more expensive due the quality of the materials and intricacy of the hand-woven designs. However, for those looking for a more affordable experience, casual kimono or simple formal kimono options are also available and are just as beautiful.